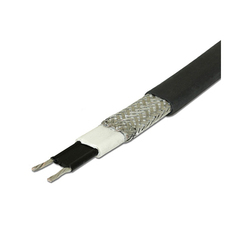 Heat Tracing Cable made using high review crude materials, purchased from reliable sellers in the business, so as to guarantee high competence value in the delivered items. Likewise, in these items, impeccable stocking, and computerized exchange oblige appropriate high temperature following methodology. Our offered range is an elective to steam trace heating where steam is not accessible or unwanted. They are utilized to support the temperature of pipe and vessels. The pipe must be secured with heat protection to hold heat loss from the channel. Looking for Heat Tracing Cable ?